Based in Washington, D.C., and armed with designers and developers who have been handpicked from around the country, Intridea operates on the bleeding edge, creating stunning, visual designs and architecting robust, scalable applications. Intridea’s dedication to excellence throughout the life of our client relationships is demonstrated through our ability to continually win over the most demanding clients. With a client list that ranges from startups to the Fortune 500, Intridea understands the needs of a wide variety of businesses. Visit http://www.Intridea.com to find out more. 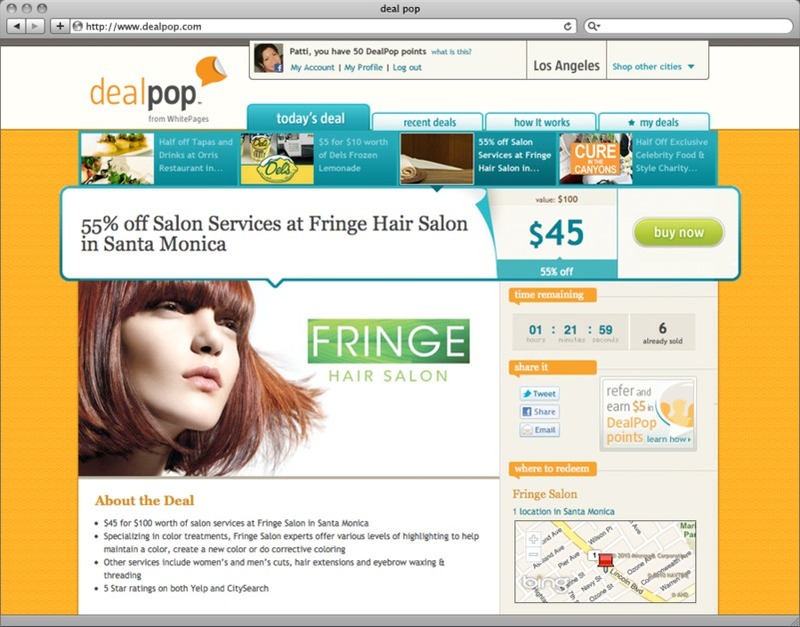 DealPop was a stealth "neighborhood deals" project from WhitePages when they came to us to design and develop their deal-a-day e-commerce platform. We worked closely with their existing team to rapidly build an application in Ruby on Rails that would get their idea to market in just three short months. In record time we helped them launch a web application that would bring great deals from the most popular places to eat, shop and have fun. We worked on every aspect from the initial design brainstorming, to system architecture, to front and backend development. We continued to closely work with the DealPop team after the project launch, iterating based on site usage, feedback and clients business goals. Collaborating with the DealPop team on such a critical project gave us the opportunity to deliver a stable and scalable Rails application in a remarkably short time span that would go on to receive national attention and direct interest from leading investors. DealPop was acquired by Tippr merely one year after their initial launch.